Thiruvananthapuram: Social activist Daya Bai and endosulphan protest committee have decided to stage a protest against the Kerala state government claiming that state chief minister Pinarayi Vijayan failed to keep up his promise. 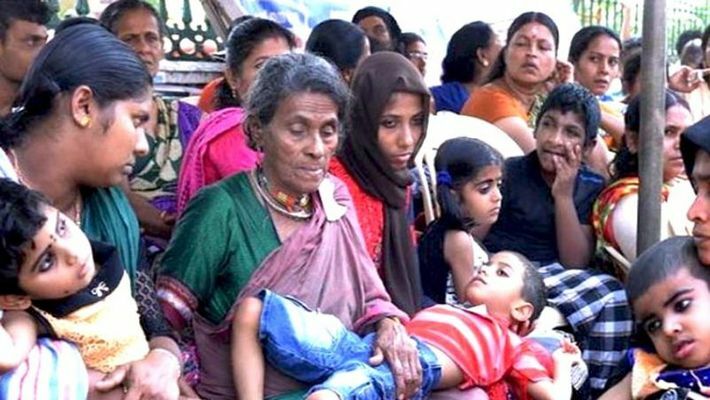 Earlier, on February 3, the endosulfan committee ended its protest as the chief minister promised to provide compensation and other aids without any discrimination. The government had also promised to include every victim in the list on the basis of the medical camp reports of 2017. Now, the protest committee alleges that the government has left its promise unfulfilled by issuing an ordinance on March 2 where it says that only those people living in a certain panchayat limit will be considered for the compensation. Regarding this incident, the committee has decided to stage a protest. The committee members will reportedly indulge in a protest march towards Thiruvananthapuram collectorate on March 19. "The LDF government's double stand on the endosulfan issue has surfaced. They broke their promise and cheated us. I will definitely protest and great vigour once I reach Kerala," said Daya Bai. In the new Budget, the finance minister announced Rs 20 crore for the welfare of endosulfan tragedy victims. The victims earlier had staged many rallies, sit-in protests and hunger strikes in the state capital. In the years 2012, 2013, 2014, 2016 and 2018, the victims protested seeking the attention of the ruling government.